Welcome to Aberto Publishing. 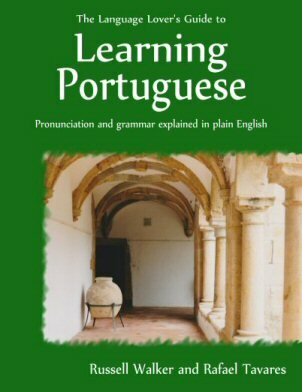 The Language Lover's Guide to Learning Portuguese is available to buy either in printed form, or as an e-book (in ePub, Mobi, or PDF editions). This book is a study companion written in plain English, which explains the things you need to know to be successful in learning Portuguese. No prior grammatical knowledge is assumed, and technical terms are explained clearly and progressively. Exercises are provided to help you consolidate what you have learned and build your Portuguese vocabulary. Although the main focus is on European Portuguese, Brazilian alternatives are also given. How do you pronounce words in Portuguese? What do all those funny little squiggles mean? What exactly are verbs, adjectives, prepositions, and pronouns? How do you use the personal infinitive? How does the subjunctive work? If you don't know your diacritic from your diphthong, you've come to the right place!